Have you heard of Bigbang? Not the TV show, the Korean boy band. They are basically the Korean Backstreet Boys and elicit all the fervor that boy bands usually do. These five young androgynous Korean boys are dominating what is currently the hottest pop genre – K-Pop. K-Pop is big business and Bigbang is the biggest in the business, currently. 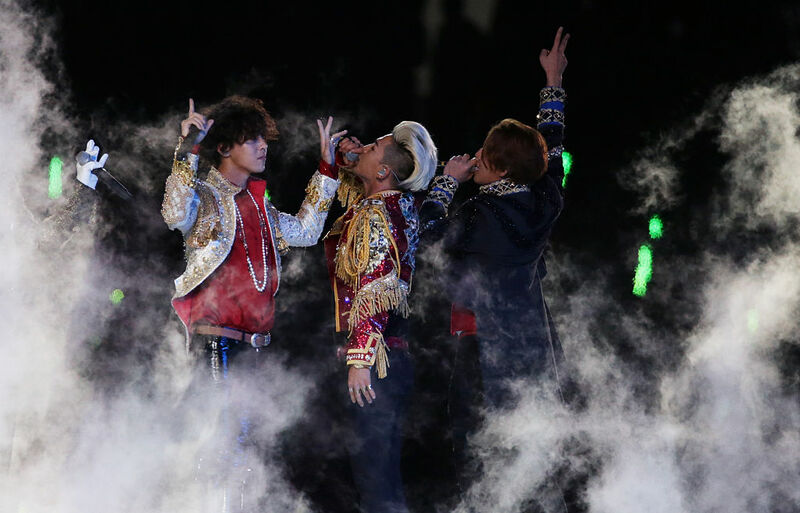 Bigbang took home $44 million in earnings over the past year. That's more than the $33.5 Maroon 5 made, more than Dr. Dre's $41 million, and more than Jimmy Buffett's $40.5 million. That is how popular K-pop is right now and it is all thanks to the mastermind Yang "YG" Huyn Suk. Yang is a former K-Pop idol who know owns and runs YG, his own publicly traded $630 million record label, talent agency, and concert promotions. His company is on pace to do a quarter-billion dollars in revenue this year. Yang is responsible for not just Bigbang, but also the entire modern K-Pop movement. Over the last handful of years K-Pop has been growing beyond the borders of Korea. It is fast on its way to becoming an international craze. Consider the case of Psy and "Gangnam Style" – he still holds the all time YouTube record with more than 2.6 billion views since it debuted in 2012. That kind of worldwide popularity just wasn't possible 10 years ago. Back then the only ways to access K-Pop was via a specialty record store or illegal download. The rise of K-Pop is a relatively recent phenomenon. Though Americans brought Western pop and rock 'n roll to Korea during the Korean War of the 1950s, it wasn't until the 1990s that the K-Pop sound began to emerge as a hybrid of American hip hop, European electronic music, and traditional Asian music genres. The resulting sound became known as K-Pop. Yang was in high school at the apex of that movement. He spent his teen years mimicking the music of Soul Train and learning how to dance like Michael Jackson. In 1992, Yang, Seo Taiji, and a third member teamed up to create the band Seo Taiji and Boys. Their first hit, "Nan Arayo (I Know)," made Rolling Stone's list of the best boy band songs of all time. Then, in 1996, at the height of Seo Taiji and Boys' popularity, Yang walked away. He immediately launched his K-Pop factory and record label, doing what Simon Cowell would do – plucking members from TV talent shows and pairing them with other contestents and talents to form a boy band strategically created for maximum appeal. Yang's company is more than just a record label. He also acts as manager, concert promoter and talent agency. Recorded music is just 25% of Yang's revenue. Another 25% comes from live music, thanks in part to clients like Bigbang, which has been grossing an average of $2.6 million on its current world tour. Also on Yang's roster is girl group 2NE1, which sells out arenas worldwide and recently did an Addidas commercial with Nicki Minaj. Psy, Bigbang, and 2NE1 may be making waves internationally, but by and large K-Pop is still a regional industry. South Korea brings in 40% of his revenues. Most of the revenue from international audiences comes from Japan and China. However, Western audiences are circling. Luxury brand holding company LVMH bought 12% of Yang's YG label for $80 million in 2014. Yang has his eye trained on North America and its plethora of enormous stadiums and arenas. Currently, his acts are selling out at venues on both coasts. It would be a bad move to bet against Yang. K-Pop is taking over the world, he is making sure of it.